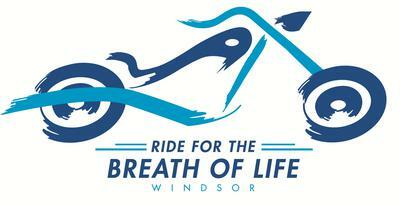 Join us September 4th for our 13th annual “Ride for the Breath of Life” motorcycle ride in support of Cystic Fibrosis Canada. Come support a great charity, as well as see the lovely roads and scenery that Essex-Kent has to offer. Breakfast at 8:00am, registration starts at 9:00am, and kick-stands up at 10:15am. Drivers are $25 and Passengers are $20. Don’t ride? Come on out and support with the purchase of breakfast at Applebee’s for only $6.99. All proceeds benefit Cystic Fibrosis Canada.